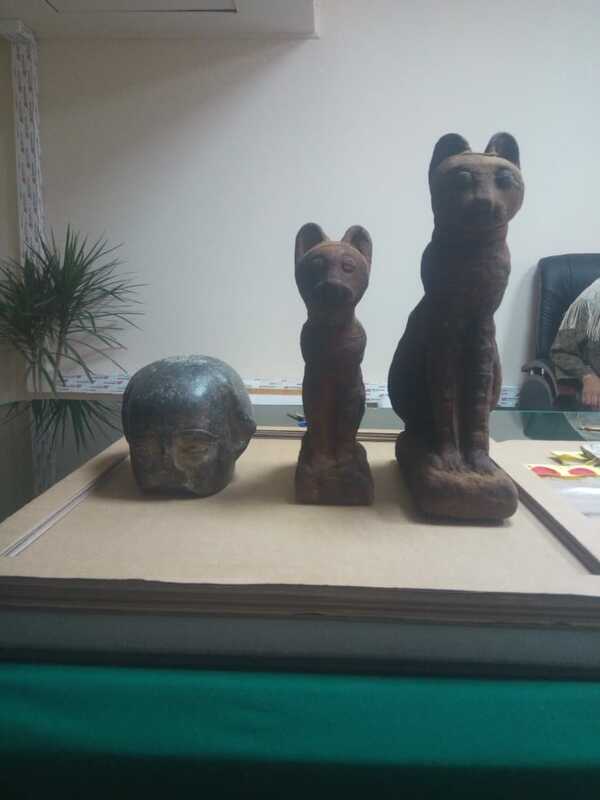 A collection of nine smuggled artefacts recovered from France were handed over to the Ministry of Foreign Affairs by the Ministry of Antiquities on Thursday. 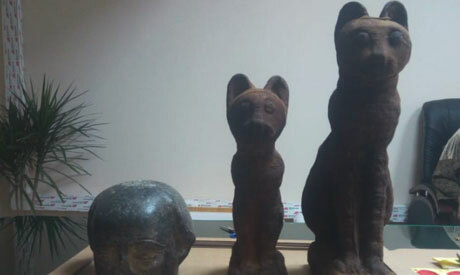 Eight of these artefacts were seized from a passenger travelling to London at a train station in France in 2012, according to Shaaban Abdel-Gawad, head of the repatriation department at the Ministry of Antiquities, speaking to Ahram Online. Among the artefacts were five fragments of an ancient Egyptian sarcophagus, two cat statues, and a human head carved in basalt. The collection was confiscated by the French police and, after a series of legal and diplomatic procedures to prove ownership, Egypt recovered the artefacts in 2014. The Ministry of Antiquities followed up the case over the following years in collaboration with the Ministry of Foreign affairs, until French authorities returned the artefacts to the Egyptian embassy in Paris at the end of 2017, Abdel-Gawad told Ahram Online. The ninth object was observed in the collection of a Parisian auction hall, and monitored by the Ministry of Antiquities. It was found to be one of a number of artefacts stolen from the storage of Elephantine Island in 2013. The ministry undertook legal procedures to prevent its sale, recovering and returning it to the embassy at the end of 2017. 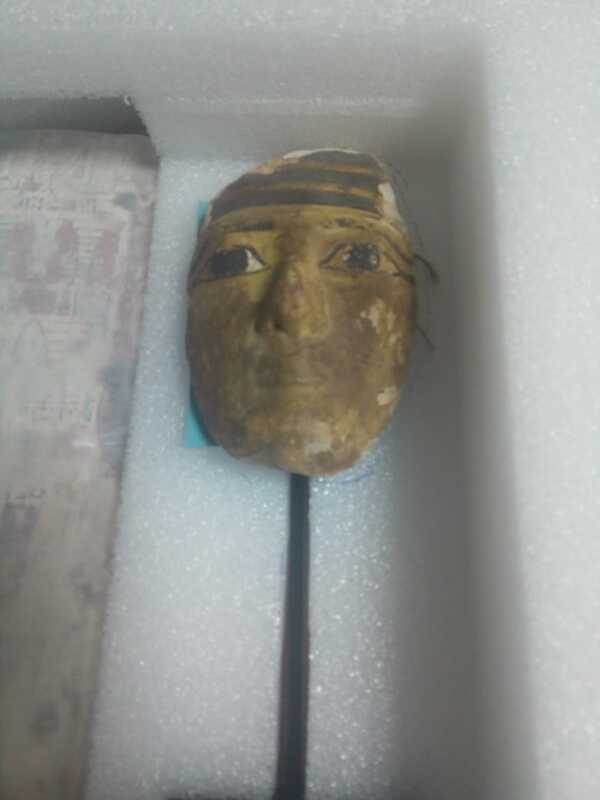 The object is a wooden mummy mask covered with plaster.